In a recent 48 Hills post, housing activist Peter Cohen aimed a couple rounds of return fire at SPUR’s Gabriel Metcalf. The post comes in response to Mr. Metcalf’s own article critiquing progressive housing policy. Mr. Cohen bounces around a bit, but he does repeat some frequently used talking points worth addressing. Mr. Cohen calls the argument for market-rate construction ‘trickle down economics’. Trickle down economics actually refers to certain macro theories popularized during the Reagan years. These models assumed a higher marginal propensity to save among wealthier individuals. And given this assumption, some economists concluded that reducing top marginal tax rates would result in higher savings. This would then mean higher levels of investment which would, in turn, have a positive effect on aggregate output. And from there we get the idea of a rising tide lifting all ships. Note that none of that has anything to do with housing policy. Labeling something ‘trickle down’ is a way to delegitimize certain policy proposals by associating them with Ronald Reagan. It’s somewhere between rhetorically dishonest and intellectually lazy. Though to be fair, it’s probably pretty effective in San Francisco. The concept Mr. Cohen is trying to critique is actually called filtering. In many instances, markets do not produce new housing at every income level. But they do produce housing across different income levels over time. Today’s luxury development is tomorrow’s middle income housing. The catch, however, is that supply has to continually expand. If not, prices for even dilapidated housing can go through the roof. For a more thorough explanation, see SFBARF’s agent based housing model. The folks taking the cool jobs may not be uber-rich, but they have tons more money than everybody else, and so they drive prices out of sight. Build more market-rate housing, and you’ll just accelerate the cycle – more smart kids will show up wanting to work for tech start-ups, and that means you’ll have more tech start-ups, and pretty soon demand will rise faster than supply – in large part because you increased the supply. To a local community activist, it feels like a no-win. Mr. Cohen–via Mr. Fulton–is trying to argue that supply will create its own demand. This misunderstands the nature of the regional economy. It’s not far fetched the think that there are plenty of people ready to move to San Francisco. And that if prices were lower and housing more available, they would. But that doesn’t explain why so many want to come here in the first place. That has to do with tech and the knowledge economy. New workers, entrepreneurs, and investors all come here because of all the workers, entrepreneurs, and investors that are already here. And thanks to the logic of industry clusters, it’s a self reinforcing cycle unlikely to change anytime soon. For tech worldwide, there’s the Bay Area and everywhere else. For tech already in the Bay, there’s the Peninsula/San Francisco and everywhere else. Even if you don’t build it, they’ll still have every reason to come. And despite some of the highest housing prices in the country, they continue to do so. Increasing supply will put downward pressure on prices. But it’s important to keep a few things in mind. First, increasing supply may never actually lower prices. Prices will be lower than what they’d otherwise have been. That, however, doesn’t mean they’ll necessarily be lower in real terms. Second, this process takes a long time. There’s lots of high end housing that didn’t get built over the last several decades. Consequently, the pipeline of aging high-quality housing isn’t there to provide supply at lower price points. This is a housing shortage decades in the making. Under the most supply friendly of conditions it’ll take decades more to bring prices back in line with national averages. And third, there is no San Francisco housing shortage. 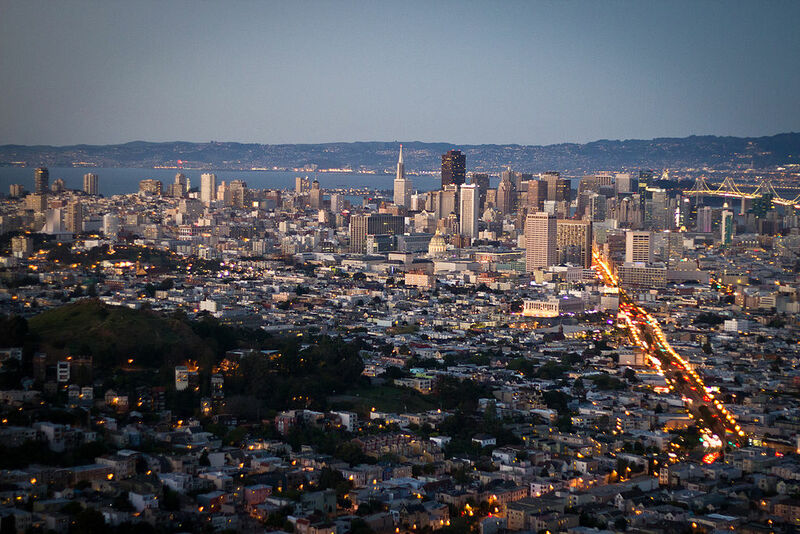 San Francisco is only one part of the larger Bay Area housing market. The shortage is region wide. When increasing supply is talked about as a way to combat rising prices, that’s referring to the housing market in its–regional–entirety. Specific neighborhoods or even cities might still only get more expensive. Even in a world where massive development tempers prices across the entire Bay. And here’s the real heart of the disagreement. Market-rate development won’t privilege incumbents. It won’t reserve specific neighborhoods for specific income levels. And it won’t guarantee that specific communities remain the majority residents in any specific areas. And for some, these are the challenges that we’re facing, not high housing prices per se. And that’s fine. But let’s stop talking past each other and taking potshots at straw men. And let’s start being clear about what we think the actual problem is and what our policy goals should be. You’re last paragraph is an especially important one. It’s the reason why groups have decided (in the absence of economic agency) to exercise their political will. The folks proposing a moratorium face no downside, because from their vantage point they’re going to be displaced no matter how much market rate housing we unleash. I guess rent at national averages – think Middle America – is a bit much to ask for. But Ed Glaeser says that we built 100k units a year in the roaring 20’s New York City. We have an even greater technological capacity to build quickly 90 years later. If they could do it back then, we can do it now. The barriers are entirely political, not physical or technical. The poverty of housing is a self-wrought prison of low expectations.